Congratulations are in order, you’ve found Hog Roast Borrowdale and with it the best hog roast caterer that you’re ever likely to know! As hog roasters of a great many years we know how hog roasting works, we know especially what makes a good event caterer, we know because we’ve been one of the best around since we got off the ground over a decade ago. Hog roasts and spit roasts are the one event addition that you can’t afford to miss out on this year, or the year after that, or even any of the years after that. A bold claim you might think, but not when you come to realise that hog roasting is a tradition thousands of years old – and stronger and more sought after for every passing year. At Spitting Pig we reinvent and reinvigorate how others perceive and approach hog roast, professionalising hog roasts, serving them with elite grace alongside other brilliantly vivid dishes. Spitting Pig can provide hog roasts and spit roasts for events in all their forms. 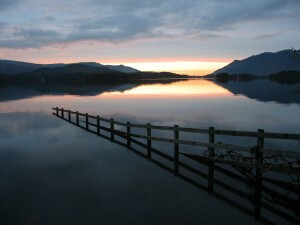 The chefs at hog roast Borrowdale can fashion a banquet for quite literally, all occasions. Hog roasting is a real blessing in that regard, it’s the best whether at a relaxed, lively birthday party or at a black-tie event with seated guests in need of a good five course meal. If you head on over to our testimonial page after reading this you’ll see that the people and events we cater for are exceptionally varied, but you needn’t be surprised by this because as we’re about to tell you, so are our Spitting Pig menus. Every hog roast Borrowdale menu we have differs from the other, in not in the dishes served then in the manner in which they’re served. Buffets, seated menus, come up and grab yourself a juicy pig roast roll because it’s an informal barbecue between friends and family type menus – we’ve got ’em all! We cook pigs, lambs, turkeys, chickens, we can cook sirloins of beef, chicken kebabs, we’ll grill gourmet sausages and homemade British beef burgers. That’s just the spit roast option, I wouldn’t know where to start in reeling off every food that’s present in our choice of canapes, starters, desserts, and more. You’d be hard pressed not to find a fitting menu for the event you’re organising. But however great pre-made menus are, let’s be honest, they aren’t for everybody. It’s unlikely but entirely plausable that you have something really specific in mind, you have the details outlined in your head and need them met down to the tee, and in that case the menus in our menu section could be missing that little spark you’re looking for. That doesn’t mean that Spitting Pig isn’t the right company for you, quite the opposite, it means we need to talk about a bespoke menu because we’re an award winning creator of the finest bespoke menus. 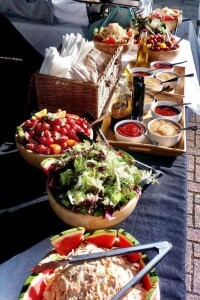 At Spitting Pig hog roast catering we methodically cover all bases. Have guests that are allergic to nuts or only eat a vegan diet? We want to know, and we want to know because we want our catering experience to be one that’s immeasurably good for all guests, no matter their eating habbits. We prepare alternative dishes with a quality to match the regular dishes. For many it’s not the hog roast catering that they come to Spitting Pig for, for lots of individuals – and businesses especially – the jewel in the crown of Spitting Pig is our pig roast Borrowdale hire service. The service for hog roast hire Borrowdale is exactly what it sounds like, the perfect opportunity to hire a Spitting Pig for either your event or your own business. 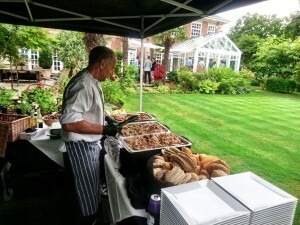 While for many the cost of event catering can be a big drawback, with hog roast machine hire it’s practically non existant. The price of hiring a machine, short term or long term, is economical to the nth degree, you’ll make your event or business the talk of the town and in the case of a business you’ll rake in easy profits with a Spitting Pig machine – and that’s while improving your reputation on behalf of all the magnificent hog roasts you make. 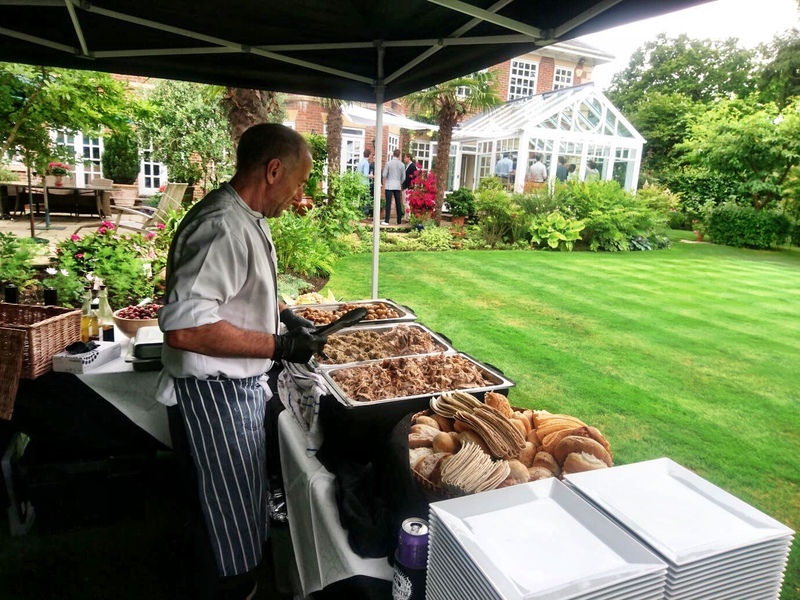 The proposition of Spitting Pig hog roast catering or hog roast hire Borrowdale at your event is one that we really hope you’ll take and, if nothing else, we hope you’ll take advantage of our free event quote system and take a few brief moments to request a quote.